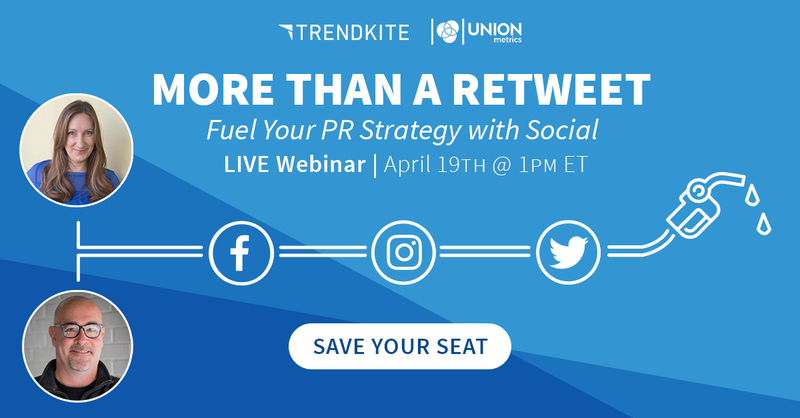 PR and social media go together like peanut butter and jelly, so we teamed up with our friends at TrendKite to host a webinar on how the two work together. PR practitioners need to work in conjunction with social teams, since using social media intelligence is vital to boosting earned media’s reach and impact. We’ll discuss all of this and more in More Than a Retweet on Thursday, April 19th at 12pm CT.
Join our live discussion on leveraging social analytics to fuel your PR strategy— from better understanding your audience, to handling a crisis, to creating a voice that humanizing your brand!